Swansea may be one of the rainiest cities in the UK, but it certainly isn’t short of seaside charm. Situated on the south coast of Wales, this maritime city benefits from a flurry of award-winning blonde sand beaches, a myriad of thriving independent shops and a regenerated marina that’s quickly become a cultural hub. 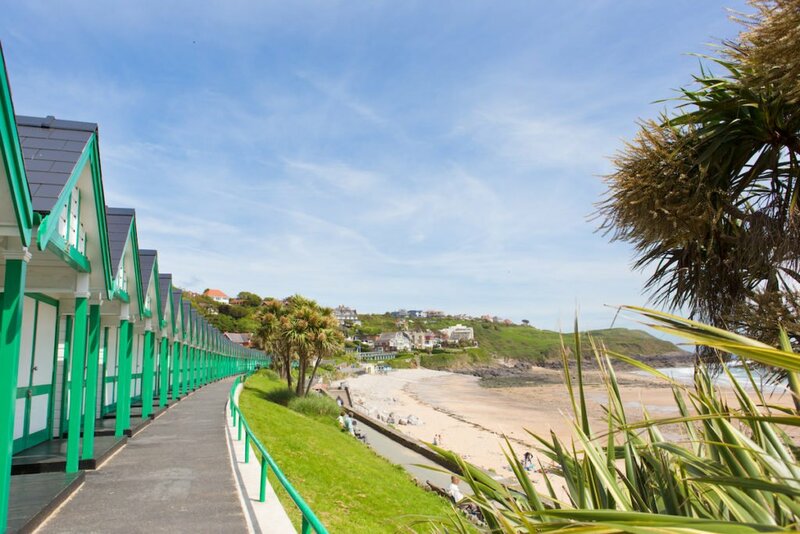 Fill your days snacking on just caught seafood and taking long walks across Swansea’s picturesque shores. Cardiff might be the capital, but Swansea’s unparalleled beauty makes it a strong contender for the status of Wales’s top city. Swansea is one of the most beautiful places in Great Britain. 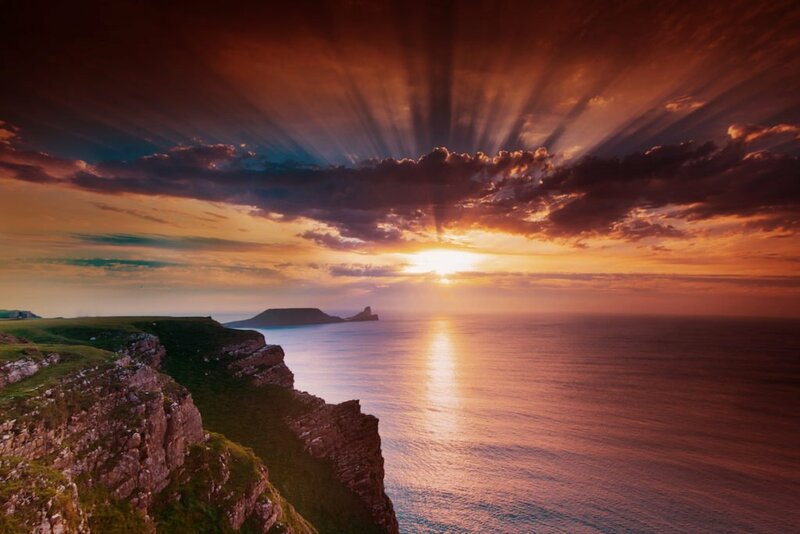 In fact, Gower (an area within Swansea) was voted the UK’s first ‘Area of Outstanding Natural Beauty.’ This is due to its stunning coastline and beaches. One of Swansea’s most famous residents is a dog called Jack, who reportedly rescued 27 people from the water in the docks and riverbanks from 1930-1937. There’s even a plaque commemorating him in the Swansea Museum. The first ever human fossil in Britain, The Red Lady of Paviland, was discovered in rocks at the Gower Peninsula in 1823. His (the lady turned out to be a man) remains are over 30,000 years old. Fancy a game of Monopoly? Swansea was the first Welsh city to have a Monopoly board modelled after its own streets. During the 18th and 19th centuries, Swansea was nicknamed ‘Copperopolis’ due to the large volume of copper metal it produced. One of Wales’s newest national museums explores the industrial changes to this maritime centre over the last 300 years. 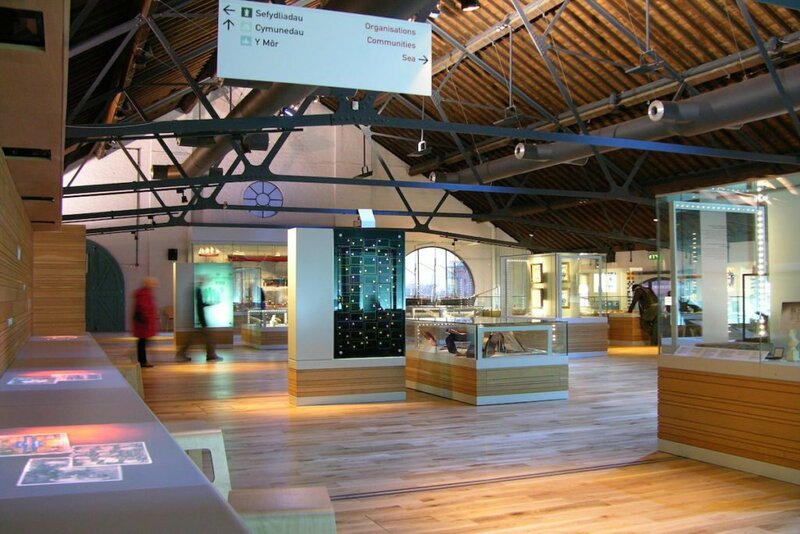 The National Waterfront Museum takes visitors back in time and puts them at the centre of the narrative. The museum also offers an exciting array of events throughout the year, like yoga in-between the gallery’s relics. And a pop-up skate park in the summer. Boasting some of the best beaches in Wales, be sure to check out Blue Pool Bay in Gower. This pool of seawater is like a natural bath tub you can leap into from the nearby rock ledges. It’s rumoured to contain gold coins from a Spanish shipwreck, so be sure to pack a pair of goggles. You never know what treasure you’ll uncover! Take a 20 minute drive down the coast from Swansea to Mumbles. This quaint seaside village at the start of the Gower Peninsula’s coastline was recently voted one of the best places to live in Wales. 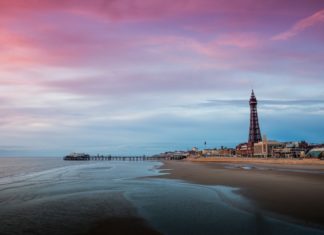 It’s beautiful beaches, grand Victorian Pier and freshly caught seafood make it easy to see why. 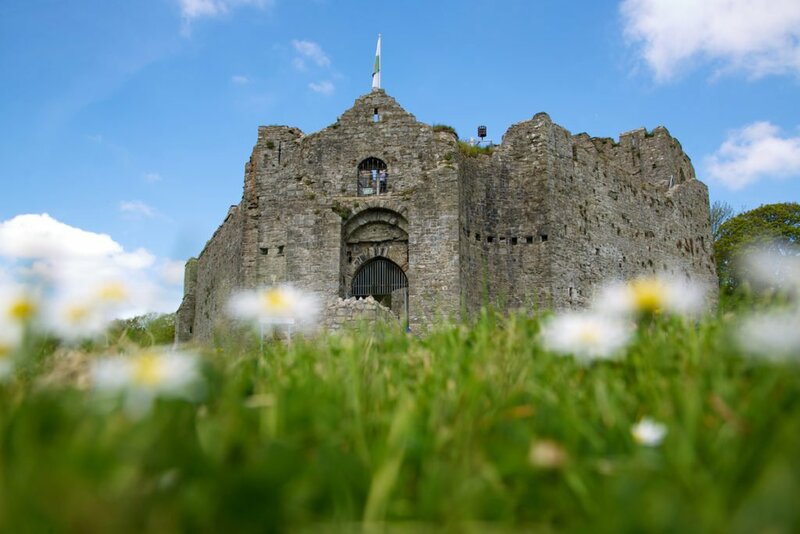 While you’re there, check out Oystermouth Castle, a Norman stone castle in overlooking Swansea Bay. The castle was founded by William de Londres in the year 1106 after the capture of Gower by the Normans. If you need another reason to visit Mumbles, there’s fierce competition between an array of ice cream parlours all looking to be crowned the village’s finest. Don’t tell anyone but our favourite is Joe’s. Their secret Italian vanilla gelato recipe is undeniably mouth-watering. You’ll also find some of the best local produce in the region at the Mumbles Farmers Market, on the second Saturday of each month from 9am-1 pm. 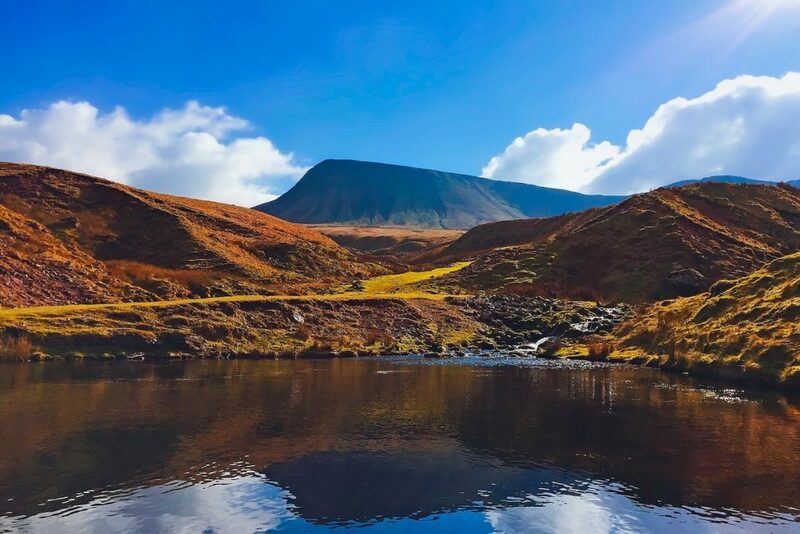 The stunning Brecon Beacons National Park is just a 50-minute drive from Swansea and Swansea University. Grab your gang of friends and set off to climb stunning mountains and marvel at babbling brooks and dramatic waterfalls. Why not pack a picnic to enjoy in one of the vast wildflower meadows? It’s the perfect activity for a warmer day. No trip to Swansea is complete without a visit to Swansea Indoor Market for cockles. 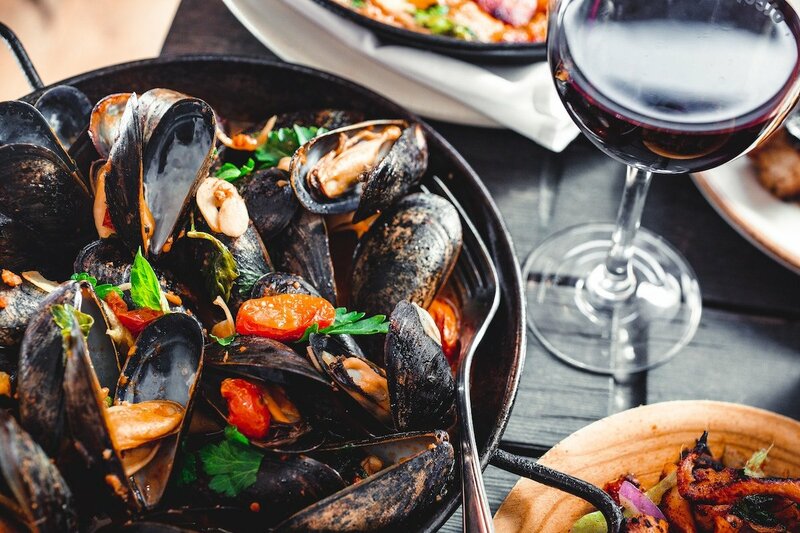 This traditional seaside snack is best enjoyed alongside laverbread, a Welsh dish made from seaweed plucked straight from local waters. Carol Watts’ Gower Cockles and Shellfish stall makes a delicious seafood mix created from a secret family recipe. It’s proper “lush” as locals would say! Nestled in the heart of Gower in Swansea is the quaint Little Valley Bakery. This is the go-to place for piles of delicious Welsh cakes. Arguably Wales’s most famous and delicious creation, these sweet cakes are a cross between a cookie and scone and usually packed with sultans and raisins. However, they aren’t baked like scones. Instead, they’re cooked more like a pancake on a griddle. Grab a posh pint or elegant glass of wine at the Worm’s Head Hotel. Admiring its view of Rhossili Bay should rank high on your agenda, especially at sunset when the sky is a kaleidoscopic mix of orange, yellow and pink hues. The hotel also serves a great selection of classic Welsh dishes, such as Gower salt marsh lamb, Welsh Rarebit (similar to a cheese toastie but much more indulgent) and Pembrokeshire Crab. If you’re more in the mood for a cocktail then wander over to Prohibition Bar for its illicit Speakeasy feel. Its entrance is creatively hidden in-between cobblestones. Once you’ve managed to find it, you’ll come face to face with an ancient bookcase filled with vintage books. You’ll need to tap on the correct one before you’ll gain access to a room filled with mirrors, chandeliers and grand mismatched furniture. The mixologists are cocktail masters, so feel free to leave your chosen tipple in their quick hands. This quirky bar is conveniently located on Wind Street, which is filled with a throng of other lively bars, clubs and late-night venues. Put on your dancing shoes and head here if you’re looking to continue cocktail tasting into the early hours. Gower and Mumbles are brimming with bustling independent stores selling everything from surf gear to souvenirs. Make a stop at Gower Gallery, an independent shop selling a diverse collection of local fine art and crafts. The regional artists featured here make a wholehearted effort to capture the spirit of the region. So, if you are wanting to bring home a special gift for a loved one, Gower Gallery is sure to have what you’re looking for. If you’re more into high-street classics, head to Oxford Street where you’ll find favourites like Topshop, H&M and Waterstones. Further along the road, you’ll also find a few independent stores selling jewellery and vintage clothes. A short stroll away you’ll reach the Quadrant Shopping Centre with stores like Debenhams (a huge department store stocking brands such as MAC, Ted Baker and Kiehl’s), Boots and Pandora. They also have a Post Office where you can send seaside postcards to loved ones back home.